In 2010 the then current European national standards for building and construction were replaced by the EN Eurocodes, a set of pan-European model building codes developed by the European Committee for Standardization. The Eurocodes are a series of 10 European Standards (EN 1990 – EN 1999) that provide a common approach for the design of buildings, other civil engineering works and construction products. The design standards embodied in these Eurocodes will be used for all European public works and are set to become the de-facto standard for the private sector in Europe, with probable adoption in many other countries. The Steel Construction Institute (SCI) is the leading, independent provider of technical expertise and disseminator of best practice to the steel construction sector. 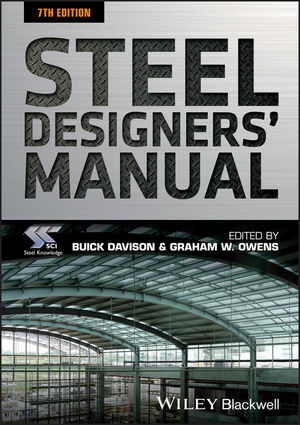 Buick Davidson is a Senior Lecturer in the Department of Civil and Structural Engineering at the University of Sheffield. Graham Owens was, until recently, Director of the SCI and he is now a consultant for the SCI.